Yup good example of wheels that fill the rims nicely and it's been lowered so it's "just right"... nice. Call me picky but I don't like the white wiper blade thingies and the Porsche script decal is too high for my taste. The wheels don't look right to me either, too modern or something. And silver is about my least favorite color...it's just so...nondescript. But otherwise, it looks good. I somewhat agree with Dan. Something about it isn't quite right. It is hands down a clean car, but I think the rims are just a bit too big, and the side decal is a bit too high. It reminds me of one of those newborn fawns that have super long legs but a tiny body. But the silver color! I love it. 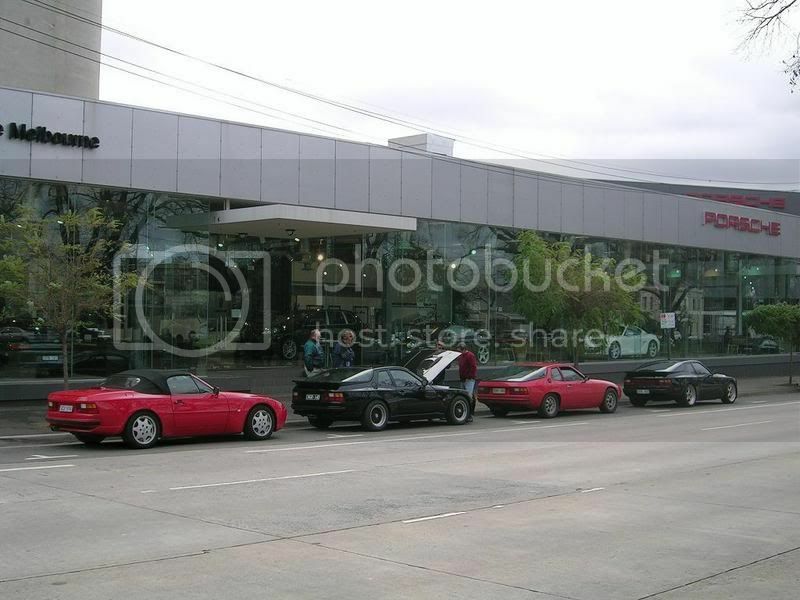 After looking at it again, I have never seen a narrow bodied 924 that looked good with such large rims. However, CGT's and wide bodies look ok with them. the black 932 with CGT rear flares but 924 fron ones. Great pic. It was taken at castle coombe Track UK. shame i had just passed him and another turbo on the previous corner... in this. Call me picky but I don't like the white wiper blade thingies and the Porsche script decal is too high for my taste. The wheels don't look right to me either, too modern or something. Thanks for pointing that out...I was just about to post asking if anyone had done only the rear flares. I like it, but I still think I'm gonna do the front fenders too. Ummm...I think it's just the angle and the small pic...if you click the pic and pull it up in larger resolution, you can see that it does in fact have 944 fenders in the front. 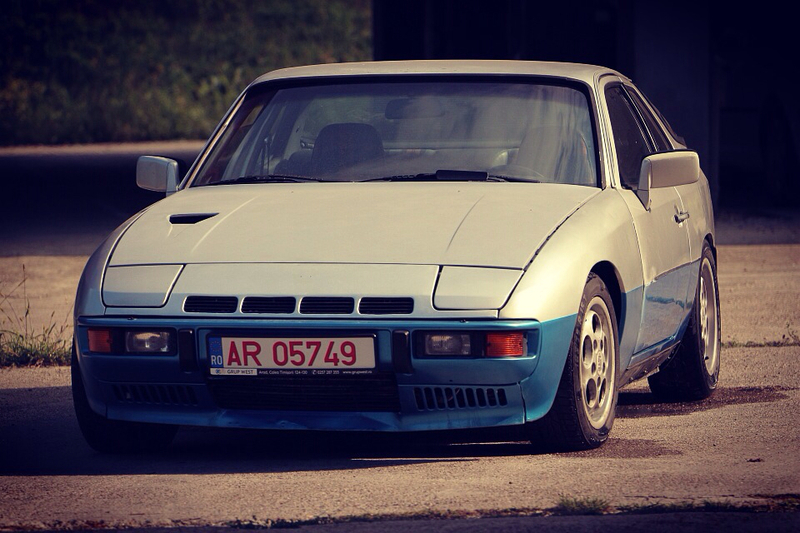 I still don't like the twists on the 924. They're too modern and too big. They look out of sorts to me. Don't think so. . .check the toofah valence. how exactly do you get pics into the POTD?